Rejuvenating Toner accompanies the cleanser in leaving skin fresh and pores firm, yet delicate. For all skin types. 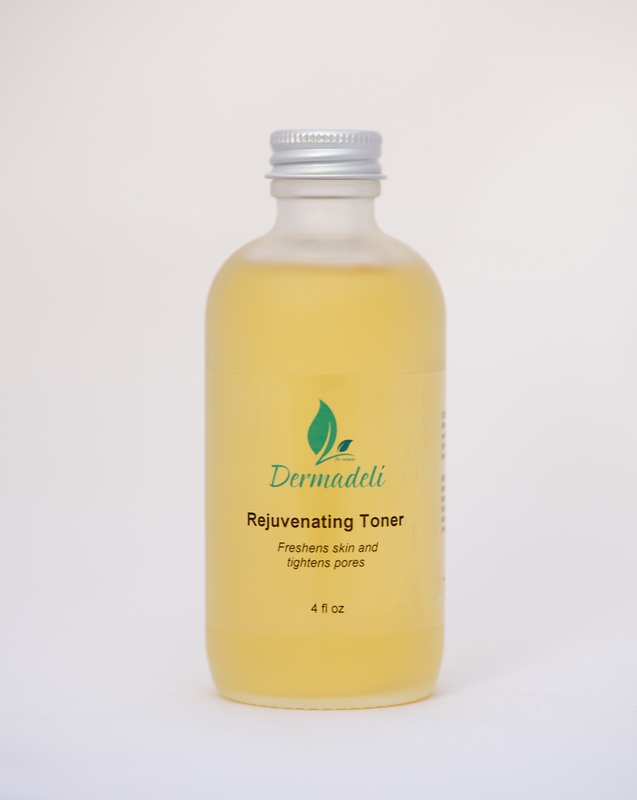 Our Rejuvenating Toner* removes cellular debris, helps tighten pores, and firms the skin. With a touch of Witch Hazel, moisture will be sealed in and your pores will be refined. Sea Kelp also helps in keeping skin moisturized, while calming skin. Directions: Apply toner using a cotton pad, after cleansing skin. May be used twice daily. Neroli (Citrus aurantium) Distillate, Sea Kelp (Lactobacillus/kelp ferment filtrate) Bioferment, Rose (Rose damascena) Floral Water, Witch Hazel (Hamamelis virginiana) Extract. *Variations in color are expected with natural ingredients; due to different types of citrus and roses being used, expect tint variations. (Label now white in color for better viewing of ingredients). I LOVE THIS. I discovered this product thanks to my sister and it is wonderful! I use the small spray bottle for application because it feels so nice. My skin is getting better and better and I think a lot of it has to do with this amazing toner! I ADORE this toner. I picked it up from a booth at a wellness fair this past summer while on the hunt for a solution to my skin issues (acne and dry spots mostly). I ended up buying a bunch of different things to try and when my skin started clearing up I figured it was due to another product. However, once I ran out of the toner sample, my skin started reverting back. It took me a while to figure it out, but as a last ditch effort I bought the full size bottle to try it out again. Now, I pretty much just wash my face and use this stuff! Turns out it alone really clears up my skin and gives me that cute glow. It’s pretty much the only part of my skin regime that I REFUSE to run out of! I even use it as a pseudo setting spray to get a dewy finish. My boyfriend started using in for the winter and he loves it too! Thank you so much! I received the toner spray in my Ipsy bag. I loved it so much that I bought this toner. I have been using it for a few months now. You can see the difference in skin! I have uneven skintone and this has helped even it out. My skin is not as oily. The smell of this toner is so refreshing. You feel it working. I HIGHLY recommend this product!!! I received this product in my ipsy bag. And I absolutely love it. I am kinda sad I don’t have a coupon code for this but it is definitely a must buy. 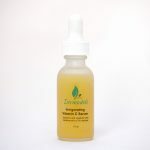 It minimizes my pores, soothes my skin, and just overall helps with moisture. I usually put this one right after I cleanse my face before moisturizer and again at night. One of my IPSY favorites. Love it! Got this in my ipsy glam bag and fell in love. No more Sheshido toner for me. This smells great and is light yet moisturizing. I love the cute and convenient travel size spray bottle too. It’s refillable!! I received this product in my monthly Ipsy Glam Bag and quickly fell in love with it. I had just ran out of my previous toner, Sheshido, and needed to buy more. I will b buying Dermadeli instead. It is so light, yet moisturizing. The sent is awesome too! This toner has now officially replaced my other brand which I’ve loyally used for 4 years. Not only does this toner brighten & tighten, it also feels fresh all day so I don’t have to use so much of it. I wash my face in the morning, spray it on, then moisturize & repeat the process at bedtime. I wake up to a soft, glowing face each morning. Witch Hazel has been a staple in my medicine cabinet my entire life so that ingredient is crucial for me & I’m so happy it’s one of the ingredients within this product. (I usually have to add it to my face products as it’s great for diminishing pores, among many other things.) And I usually don’t care what things smell like as long as they work but the smell is pleasingly light & fresh. Even my 12 year-old son said, “That smells awesome, mum”. I carry a spritzer in my purse/makeup bag so I can refresh on a humid day. Love it! A must have. I use this product in the morning and before bed. With all her products I never worry about harsh chemicals. It’s a organic experience not to mention how it tightens my skin, leaving a trace of rose hip oil to savor.